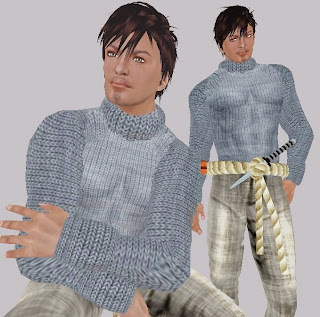 On a trip to Suki's Silken Fashions the other day I saw this men's outfit called Aragorn on the Midnight Mania board but it was already locked down. I returned the following day but the prize had changed to a dress so I thought I missed my chance. Last night I stopped in again and saw that Aragorn was back on the Midnight Mania board. I'm not sure if it will be staying or if the board rotates through prizes but it's worth going to look just in case. 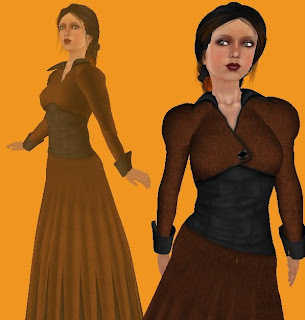 Fantasia’s new tweed and velvet dress called Ophelia is well suited for roleplay in a variety of themes including Victorian steampunk. A special edition orange color is available for only $13L to celebrate Halloween. I have four free skins to show you today. Some of these are group gifts and will only be available for 14 days from the date of the notice so act fast. All four skins are shown with clothing from the lucky chair at VooDoo. If you don’t like to wait for your letter some of these are included in the 50L section as well. Can't beat that. 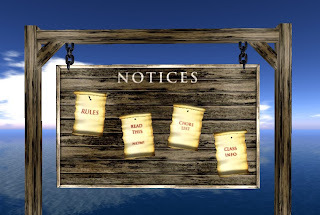 Search for the Blowpop Update Group, join and check notices. 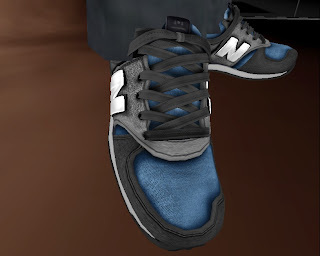 The notice dated Oct 23 includes the N2 Elizabeth skin in 4 tones. Skin: "N2 Elizabeth -tone D- 10.1 Vapor 1" group gift from Blowpop. Hair: "Luna - Halloween" hunt prize from Calico. Outfit: "Anari - Anya grey" free in gift box at Anari. Calico is having a halloween hunt from Oct 24 through Nov 1st. Of the dozens of pumpkins scattered around, 16 of them will contain prizes of hair from Calico and 3 of them will contain halloween themed skins from F.U.B. Hair: "Seelie - Halloween" hunt prize from Calico. Skin and hair shown with some of the free gifts available in a gift box at Anari. Hair: "Jill - Halloween" hunt prize from Calico. Outfit: "Anari - tea violet" free in gift box at Anari. 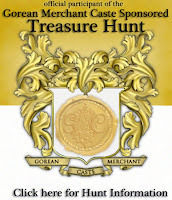 The Gorean Merchant Caste (GMC) Treasure Hunt has started with 50 participating locations. The starting point is here (look down on the ground for a clue to your first item). You are looking for collars, each contains a treasure and the landmark for the next location. Many vendors are displaying this sign which you can click to get a hint. 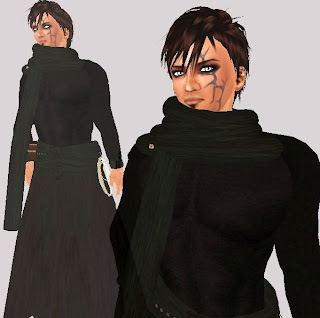 As this blog tends to focus heavily on clothing I thought I’d feature some of the fantastic roleplaying accessories this hunt had to offer. Complete with Hud and scripted throwing pumpkins! 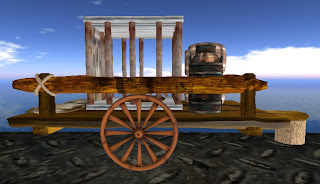 Torvalds Forge "GMC Treasure Notice Board"
Roawenwood Designs "Thermae Bath House Accessory Stand and Massage Mat(animated)"
Yellow Brick Road "Slave Wagon with animations"
Vigo has three lucky chairs rotating through more than 20 different gifts ranging from eyes to sandals and from rings to campfires. Robes of Concealment: Free "Juliet brown" one of two sets of robes in the lucky chairs at Vigo. 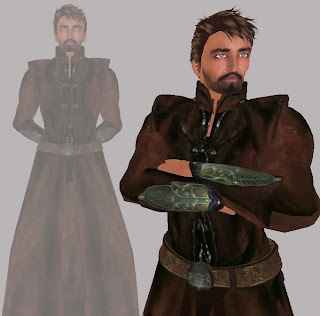 Tunic: Free "Working Tunic Boy" includes clean and dirty version. Female version also available in lucky chairs at Vigo. Chalwar: Free "Taharian-Silks3" one of three complete Chalwars available in the lucky chairs at Vigo. The 2nd Edition of the Make Him Over Hunt started today and runs until November 15th. I am about half way through the 174 locations and haven't really found anything suitable to roleplay in Gor yet but it's a great hunt. For the list of locations and hints see the official blog http://makehimover.blogspot.com/2009/10/hints-slurls-make-him-over-hunt-2.html. Click to teleport to the locations and find the symbol for male, usually in yellow but there are some exceptions. NOTE: you may see some intertwined male and female symbols, those are also gifts but part of a different hunt. The following are some samples of what you will find. If you are ever interested in other hunts in SL check the sidebar of this blog for the link to the current hunts and locations site. 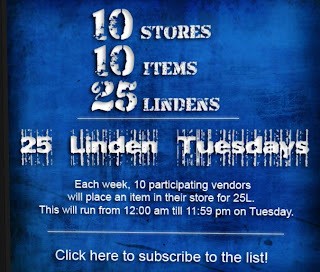 If you haven't heard about 25L Tuesdays yet you really should subscribe by clicking this sign in any store you see displaying it. The following Monday you will get a notecard like this. 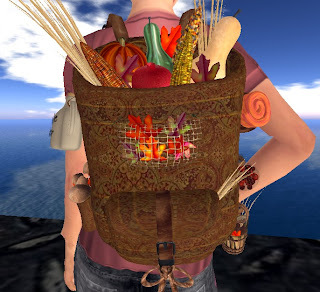 Each Tuesday, 10 vendors will place an item in their mainstore marked for sale at 25L. This special item will be something from the store marked down, an exclusive item, or a special edition item. To receive a list of the 10 participating stores each week, subscribe to the 25L Tuesday group via a Subscribe-O-Matic kiosk located in one of the stores listed below! Below is the list of participating vendors in this week's 25LT!!!!! The event begins at 12:00 am and ends at 11:59 pm SLTime on Tuesday, October 13, 2009. Enjoy the goodies and tell all of your friends to join too! I don't know what the 25L items are this week. By the time I get them it's too late to show you here. Join the group to get the list each week. Support your favorite Gorean vendors and discover new ones all while saving some money. Time for a little balance as this blog was not intended to be just for female slaves. First a trip to Ariman to pick up these free white silks. They are also tintable if you want to customize (thanks for the idea Conn). 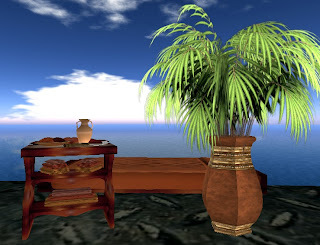 Shown with a skin available in a gift box on a table just inside the doors of Belleza, eyes from the lucky chair at Vigo, and free hair available on the wall at KMADD. Skin: Free “-Belleza- Male gift” on the table inside Belleza. Next over to Analise where the lucky chair item this month for men is this outfit complete with undershirt and underpant layers that are bruised and dirty. Could be used for a fighting slave or a male captive. Hair: Free “Uw.St Reed-Hair mesh black 04” on the service counter at Uncle Web. Outfit: Free “Analise Men's OctLucky09” lucky chair at Analise. To celebrate 6000 group members Rockberry is giving away this Eva skin in 4 skin tones, each with freckled and non freckled options. Join the group, wear the tag and you’ll find the sign for the Eva skins upstairs at Rockberry. 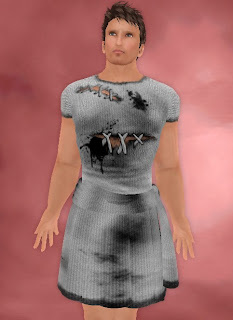 The October group gift is out at Exile, the hair shown above called Maren Touch of Pink. Wear your Exile tag and teleport to the store to pick it up. The July gift, this men’s hair called Leo Kerosene is still also available. Skin and Hair shown with the October Lucky Chair Camisk from Haven Designs. Halloween inspired with a candy corn pattern and called Trick or Treat. 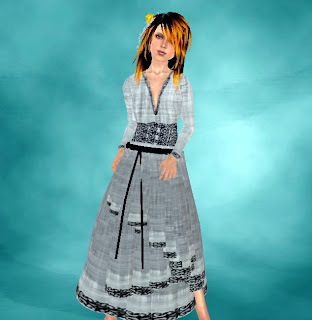 The Free Speerit group members received this new skin called Fiona. Search for Free Speerit group or visit Free Speerit in world to join for 1L and check notices. The skin is shown with just some of the hair available from Vixen that has 3 lucky chairs that change every 10 minutes. While you are waiting for your letter look for a hidden purple hair brush. 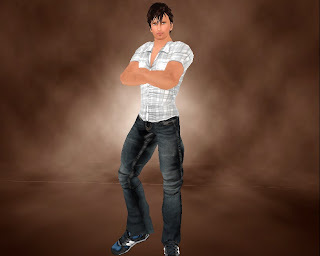 Vixen is participating in the HTGT (hair today gone tomorrow) hunt which runs until the end of October more details on website http://htgtgwh.blogspot.com/. Hair: “HTGT Hunt Gift #3 Felidae ” comes in three colors find the brush at Vixen.